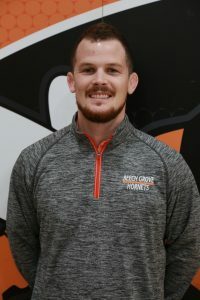 Starting this summer, Matt Irwin will be taking over for long time MS Athletic Director Richard Peak, who is retiring at the end of the school year. Irwin has also been with the district for eight years starting out as a 5th grade teacher at South Grove Intermediate School. Matt later transitioned to Beech Grove High School and worked as a counselor. After earning a Masters of Arts in Business Administration and Educational Leadership, he took on the administration responsibilities of HEA Coordinator and Dean of Freshmen Students. On the athletics side, Irwin led the high school wrestling program as head coach from 2012/13 to 2017/18. 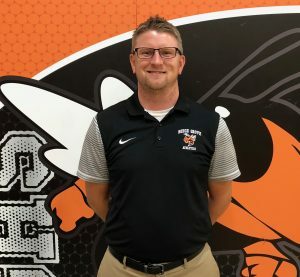 In addition to his athletic responsibilities at BGMS, Irwin will work alongside Assistant Principal Ryan Morgan as the Student Support Coordinator. Irwin is excited to continue to support and develop the middle school programs both athletically and culturally in the building. Beech Grove High School and Middle School are gaining two young, motivated, and energetic leaders. Please congratulate these two gentlemen if you see them around. Each will be transitioning into their new roles throughout the semester and look to hit the ground running over the summer months.